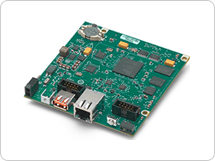 The Hardware Developers Community is a resource for anyone developing the hardware for a system around NI Single-Board RIO or NI System on Module. 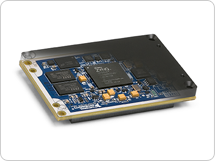 It provides resources that will help aid in development of RIO Mezzanine Cards (RMCs) and Carrier Boards as well as rugged enclosures. It also provides a forum for questions as you run into challenges or feedback based on your experience with the devices. Have questions that you can't find answers to in the documentation? Click on "START A TOPIC" below to begin a thread with your question to get help from the community and representatives from NI. Have feedback on the Single-Board RIO or System on Module? Use the forums below to share your thoughts and opinions on the devices. Why my bitfile does not work properly on a specific sbRIO-9607? No IPC Class 3 support? Can I use LVDS (in and out) from those banks which is powered from 3.3V? Why does my sbRIO-9607 take 5 times longer for initializing a system configuration session? Who is claiming my Block RAM!? What is the current leak for sbRIO 9607 on board battery? Will a RT-side sbRIO-9606 keep up with this DMA FIFO writing rate?